Play by force of thought — what VR and neurointerfaces are capable of. Play by force of thought — what VR and neurointerfaces are capable of. Basis Neuro considers this sphere as one of the most attractive launch pads for expansion of neurotechnology in the world market. We see an obvious trend — continuous improvement of quality of the consumed content. 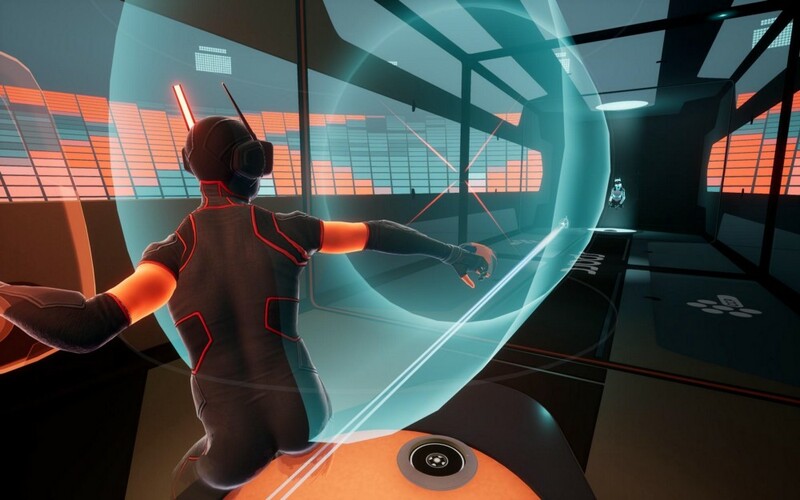 It is already insufficiently for a user just to watch the process — he needs to be plunged into as deep as possible, and if VR itself gives feeling of audiovisual presence, then, combined with the neurointerface, it allows to connect physical interaction. The neurointerface suggests to get rid of joysticks with their inappropriate and distracting control. You only need to express your intention to take an action — to jump, turn a wheel, pull the trigger — at the same time that field of neurons which is responsible for it in real life becomes more active, and your character in the virtual world will repeat it with accuracy. Moreover, such interaction will allow to get realistic feedback due to a capability of the brain to complete perception. When you’re walking on a concrete floor, and in a helmet you see a grass under the legs, the consciousness understands that it is cheated. However, standing still and controlling the game by force of thought, you to a much greater extent get feedback in the form of senses from game space. Monitoring of thought processes of the player will allow to build up a dynamic and fascinating gameplay on the basis of his reactions. The set of the subject lines which are activated depending on the user’s mood — for thrill-seekers the horror will add more monsters, or will cool down for especially sensitive not to reject them. The shop of additions will offer discounts for the necessary goods, reading out the interest by a splash of brain signals instead of relying on machine learning. Now Basis Neuro works actively on optimizing recognition and signal transmission — the neurointerface will be able soon to register not only strictly meaningful commands, but also spontaneous reflex actions and fine motor skills, bringing a game much closer to reality. The company works in close partnership with a developer of the games UnicornGO, Total Vision VR-developer and the Yode group digital agency. The first results of work and an opportunity to plunge into games of future with VR-neurointerfaces it is expected in the spring of 2019. Watch closely news of Basis Neuro and the partners. Gamers are the pretentious and extremely involved audience. They willingly test innovations and experiment. Taking into account that for the young generations games and virtual sports become more and more popular, than the real sports and other “analog” entertainments, the bet on their interest looks more than justified, in particular, speaking about the Asian markets. Basis Neuro is registered on the Cayman Islands — the company developing and issuing the user neurointerfaces for control of devices and interfaces on the basis of thought commands and also VR neuro-headsets for mental control in VR-applications. Since 2007 the own scientific laboratory has been constantly working on products of the company; all technologies are patented.